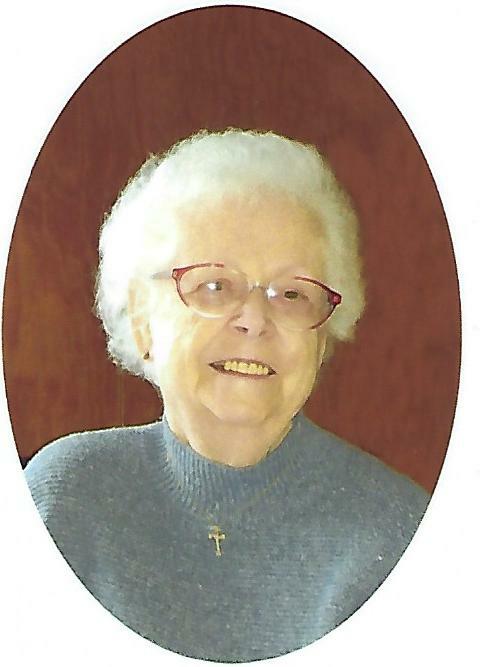 Jean Catherine Steele, nee Miller, 84, of Marissa, IL, born February 26, 1934 in E. St. Louis, IL, passed away on Tuesday, November 27, 2018 at the Freeburg Care Center in Freeburg, IL. Mrs. Steele was a typesetter for the Marissa Messenger and Sparta News-Plaindealer newspapers. She was preceded in death by her parents; Fahrner L. and Catherine (McMenemee) Miller, her husband Lester C. Steele, whom she married on April 28, 1956, and who passed away on August 2, 1993, and 1 brother; Fahrner L. Miller, Jr.
Jean is survived by her 3 children; Michael A. Steele of Pocahontas, IL, Robert L. (Laura) Steele of OFallon, IL and Barbara J. Steele of Marissa, IL, her twin brother and sister; John R (Kay) Miller of St. Peters, MO and Joan M. (Charles) Gutjahr of Coulterville, IL, 2 grandchildren; Ian M. (Maria K.) Steele and Taylor M. Steele and by her 2 great grandchildren; Aiden C. Steele and Ella J. Steele. Memorials in Mrs. Steele’s honor may be made to the Alzheimer’s Association or the American Diabetes Association. Funeral; A Mass of christian burial will be held at St. Agatha Catholic Church in New Athens, IL on Friday, November 30, 2018 at 10 a.m.. Burial will follow at Marissa TWP Cemetery in Marissa, IL. Heil-Schuessler Funeral Home in Marissa, IL is in charge of the arrangements. So sorry to hear this. Father God, be with this family. Let them celebrate her life, rather than mourning her death.